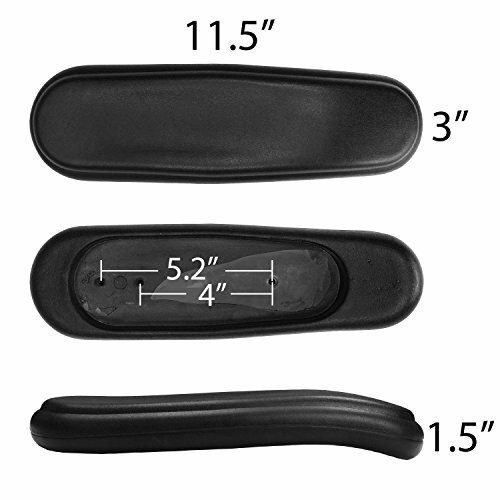 Great for replacement or upgrade on most standard office chair, stool, and task chair arms. Sold as a pair (Set of 2) Universal - left or right are the same. Cut-out area on underside of arm pad for mounting fixed or adjustable arms measures 7 3/4" long and side to side tapers down from 2 5/8" wide toward the back and 2 1/8" toward the front. **Mounting hardware not included as length of screw specific to chair.